Today, DC announces Oscar-winning screenwriter John Ridley (12 Years a Slave, Let It Fall) will examine the DC mythology with a compelling new literary comics miniseries, THE OTHER HISTORY OF THE DC UNIVERSE. 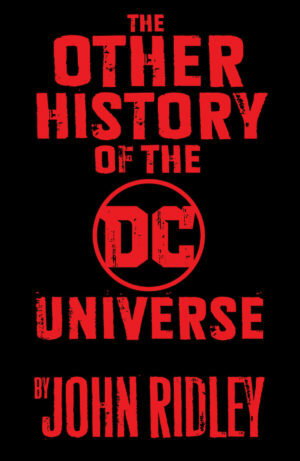 The story will analyze iconic DC moments and chart sociopolitical gains through the perspectives of DC Super Heroes who come from traditionally disenfranchised groups, including John Stewart, Extraño, Vixen, Supergirl, Katana and Rene Montoya among others. At its core, the series focuses on the lives of those behind the costumes, and their endeavors to overcome real-world issues. THE OTHER HISTORY OF THE DC UNIVERSE isn’t about saving the world, it’s about having the strength to simply be who you are. Ridley will discuss his latest project for the first time this weekend on DC in D.C.’s “The Many Shades of Heroism: DC Heroes Through the African-American Lens” panel. DC in D.C. is a landmark pop culture event illuminating the story of America and current issues through the lens of comics and Super Heroes. Tune in via the live stream on Saturday, January 13, at 11 a.m. ET on the DC YouTube channel and follow along in the conversation on social media with #dcindc2018. The new miniseries is slated to launch in winter 2018, following Ridley’s current run at Vertigo with THE AMERICAN WAY: THOSE ABOVE AND THOSE BELOW.